The planning for Thanksgiving, Hanukkah, Christmas and New Year has been going on for a month and a half now in the food and crafting blogs. This past week I saw posts on planning, cooking, decorating, and recovering from Thanksgiving. Luckily, I only had to make two side dishes to the Thanksgiving dinner I attended. This great big world of the internet is kind of funny. I am sure that you, like me, have been searching for new recipes and looking for old standards to make and share with our loved ones. Dinner, cookie swaps, afternoon teas, potlucks, parties, brunches and cocktail hours. A new favorite website of mine is Pintrest; my daughter got me hooked on it. I’ve discovered that the pictures are sometimes better than the actual recipe. That is the beauty and the downfall of the internet and blogging. 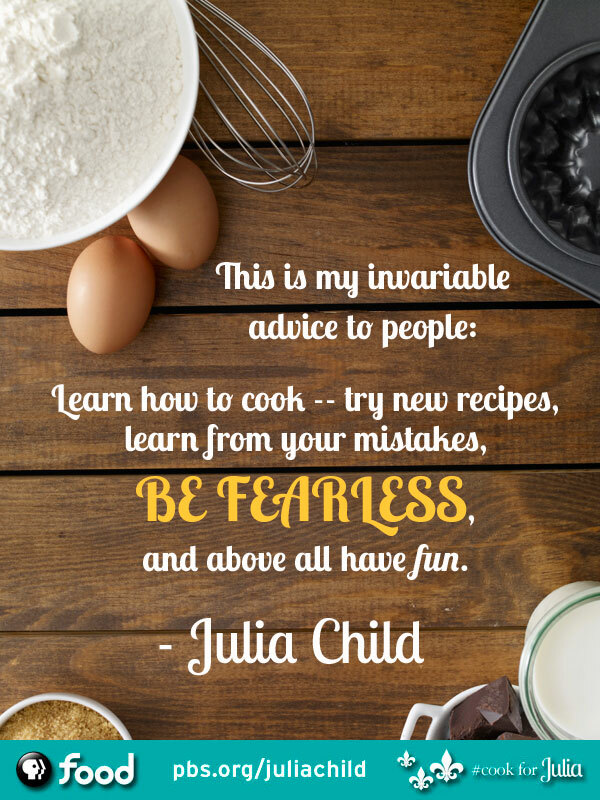 I started The Fearless Cooking Club and this blog out of admiration for Julia Child. Julia had humble beginnings and was a pioneer in cooking and television. She wasn’t afraid to make mistakes. She lives on with her quotes, philosophy and recipes on PBS.com. The blogging world is a combination of Martha and Julia. There are big blogs and small blogs; there are blog businesses and blog amateurs. I am an amateur with a small blog. There are other small bloggers out there like me. I’m a self-taught cook and blogger, I’ve learned a few things about recipes. So in the spirit of this blog and the holiday season here are my points on the never ending search for the great recipe. 1. When reading a recipe, look at the ingredients first. I blogged about this back in 2011. I was philosophical back then. Do you like the ingredients? Are they in your pantry? Will it take time out of your day to get them? Is the ingredient necessary to the recipe? or could a substitution be made? I make substitutions all the time. I regularly substitute chard for kale. I am still harvesting chard from my garden. 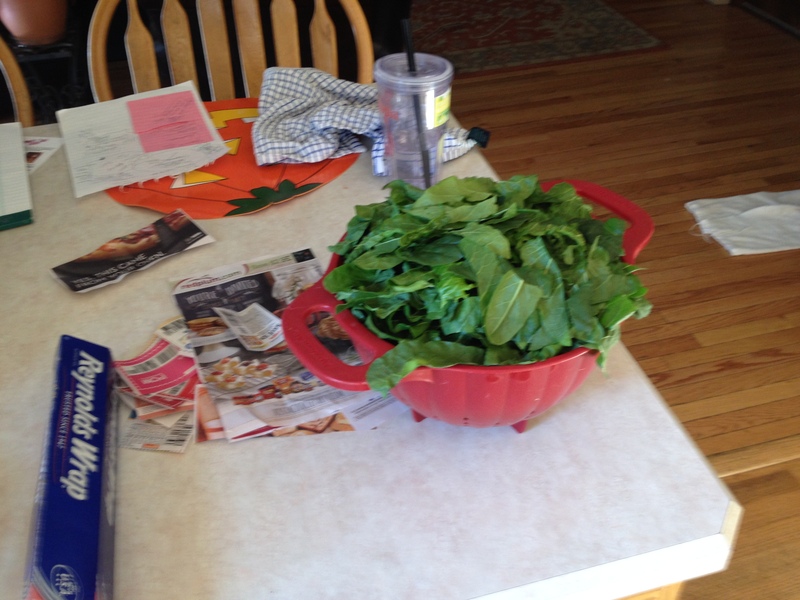 To buy kale specifically for a recipe would be wasteful. It is an equal substitute. 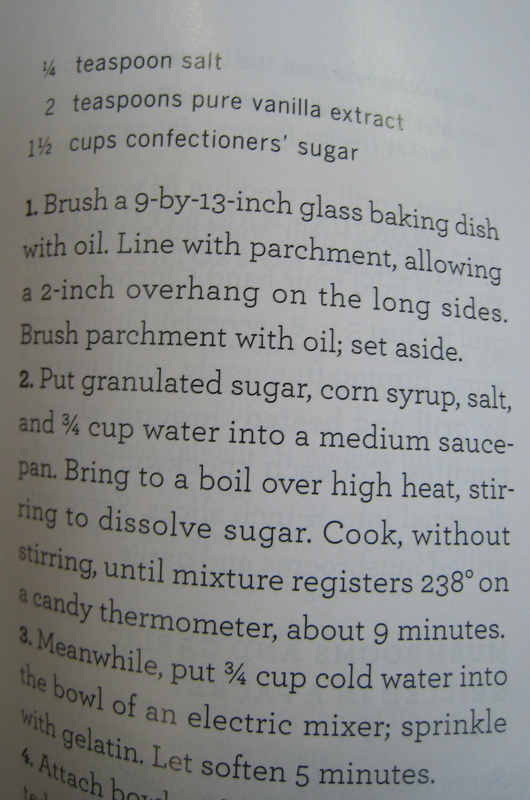 Sometimes substitutions just don’t work, like putting Stevia or Splenda to replace sugar in a baking recipe. I tried this with a blueberry pie recipe last year. I’m not sure it tasted very good. 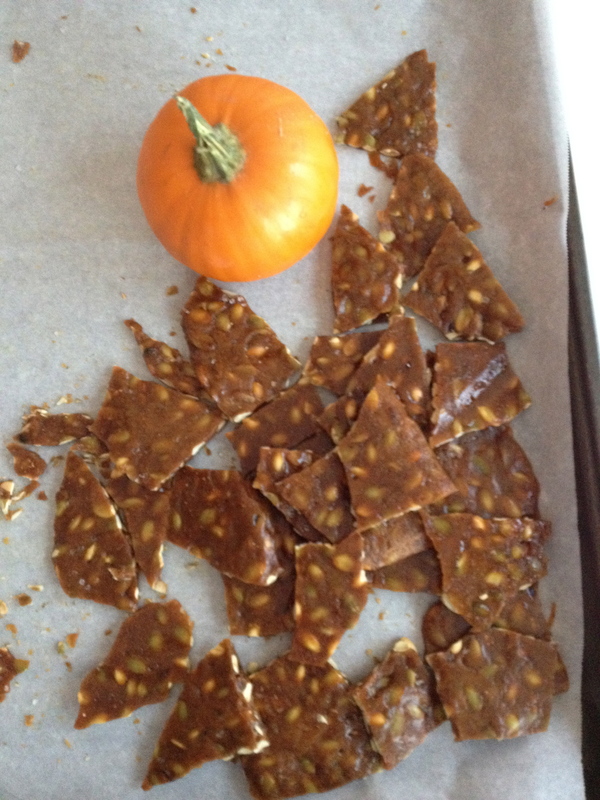 It definitely would not work with taking candy to a hard crack like this Pumpkin Brittle. 2. Read the directions. Do they make sense? Are they easy to follow? How much time will it take? Will you need to refrigerate the ingredients over night? 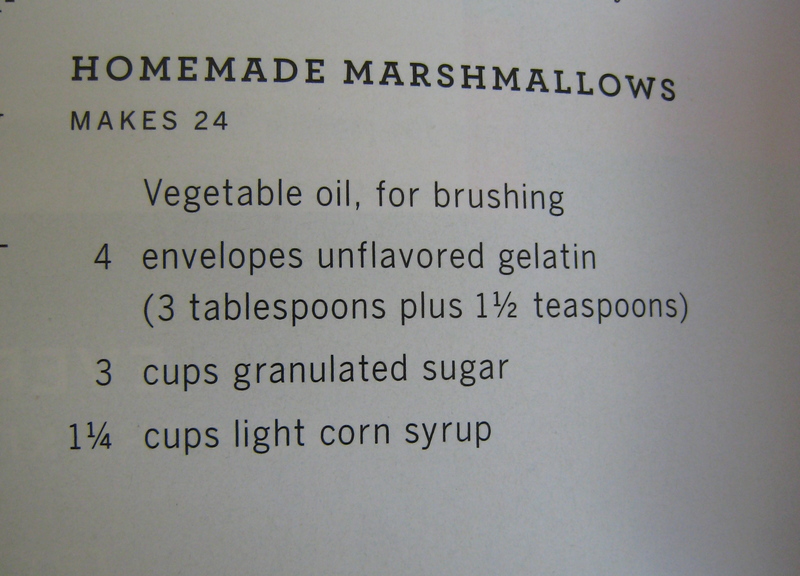 I have never made homemade marshmallows – yet. When I first started cooking and baking I threw everything into a bowl or pot and that was it! Very little technique was involved. I read a hand written recipe that had the ingredients on the card and at the bottom the directions were ‘Cook for 1 1/2 hours.’ If you don’t have any cooking knowledge or memory of how it is made it would be difficult to follow. Many loved recipes my mother wrote on stationery from my dad’s business. I’ll never throw them out because they are priceless piece of my family history. But, I’ll have to draw on my cooking knowledge or memory to make it. Cooking and baking is about technique. The directions help develop technique and skill. I’ve been reading about how to make croissants off and on for several months. There is a lot of technique to making croissants and some day I may tackle it. In the meantime, I am still reading about it, getting up the courage to make a mess in the kitchen. Croissants take at least two days to accomplish. It wouldn’t be a good idea to start making it then go out of town next week. 3. Have you made a recipe similar to this one before? From your past experience, is there an easier way to make the recipe than the directions? I made a turkey meatball soup today. I had all but one of the ingredients on hand but it was easy for my husband to pick up while doing errands. It took a day of preparation before I made the soup. I had to thaw the ground turkey overnight and there were a lot of ingredients that needed chopping. I chopped all the ingredients and placed them in a container to refrigerate overnight. The next morning I was putting the recipe parts together. The meatball recipe looked bland; the cooking technique looked like it might be mushy. So I referred to two of my basic, stand-by cookbooks. One cookbook mentioned that if making the meatball with poultry you should refrigerate the balls for one hour before cooking or they would fall apart. 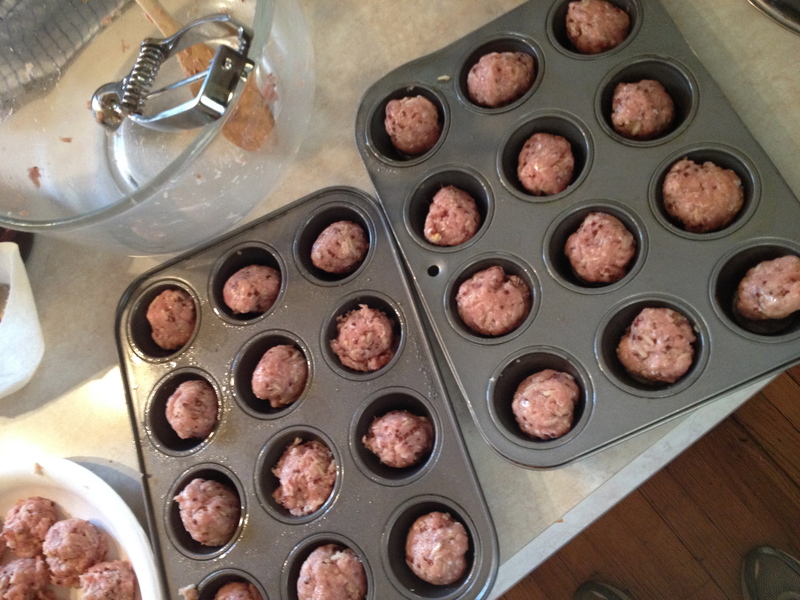 The other cookbook advised to put the meatballs in mini muffin tins to keep them firm and round. Also, one of the ingredients was 1/2 cups brown rice. Was is cooked or un-cooked rice? 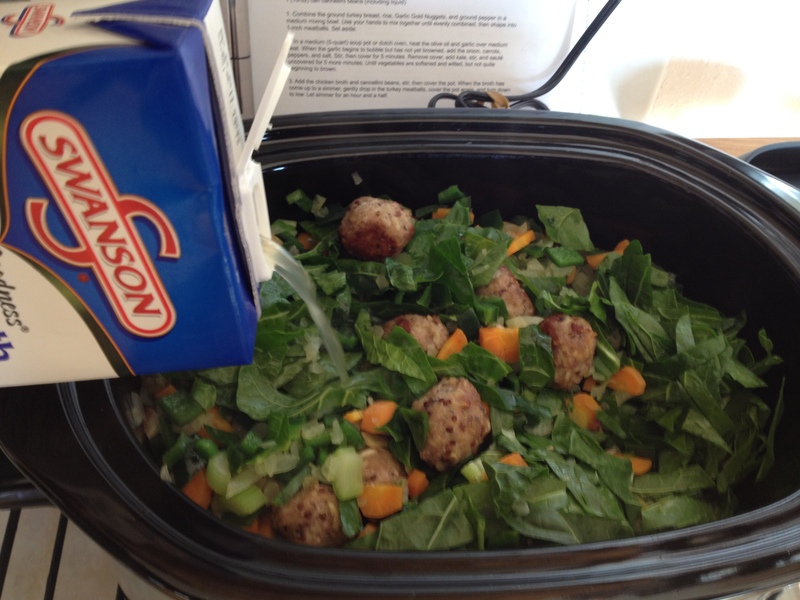 I couldn’t tell, so I relied on my instincts of making a similar meatball recipe. Everyone has their own way of doing things, but it needs to translate to my kitchen. 4. My kitchen, maybe like yours, is the dumping ground for purses, grocery bags, kitchen equipment etc. Sometimes I am spinning around my kitchen looking for the olive oil bottle and still can’t find it because of the clutter. 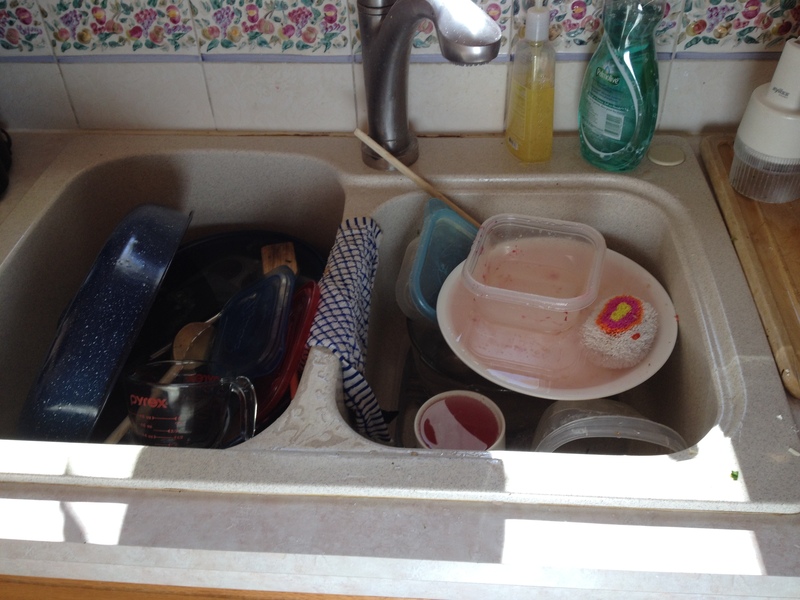 Before making the recipe: a) clean the kitchen, b) do the dishes, and/or c) clear the clutter. I think in the directions it should say have those as the #1 on the list. You run the risk of starting a fire or dumping ingredients all over. I accidentally dumped cake batter onto my Brighton purse once. That was crazy. Everytime I carry that purse I think of that day! Don’t you wish you would see Ree Drummond or Lidia Bastianach show how they clean the kitchen before and after making their signature dishes? Good luck out there navigating the internet. Five weeks of the holidays are yet to come. And don’t forget, Valentine’s Day is just around the corner! 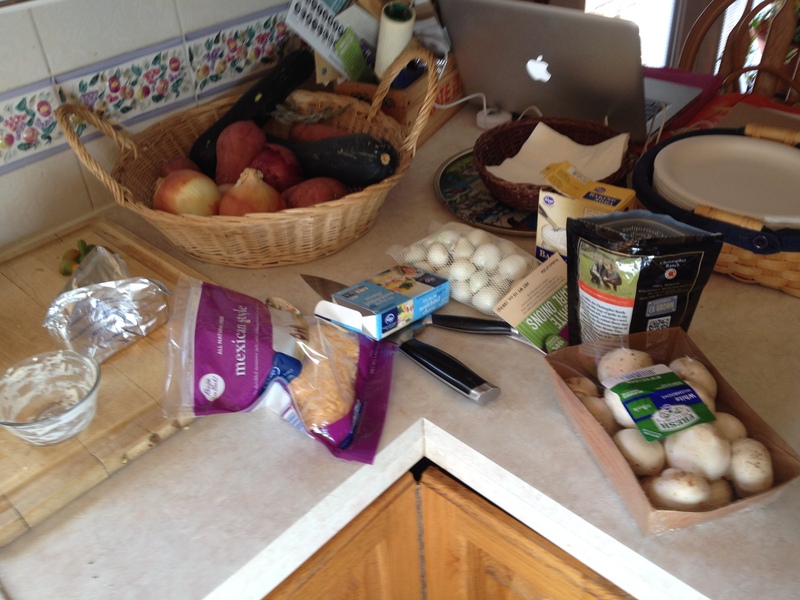 The Fearless Cooking Club met last weekend to celebrate National Pie Day January 23rd. 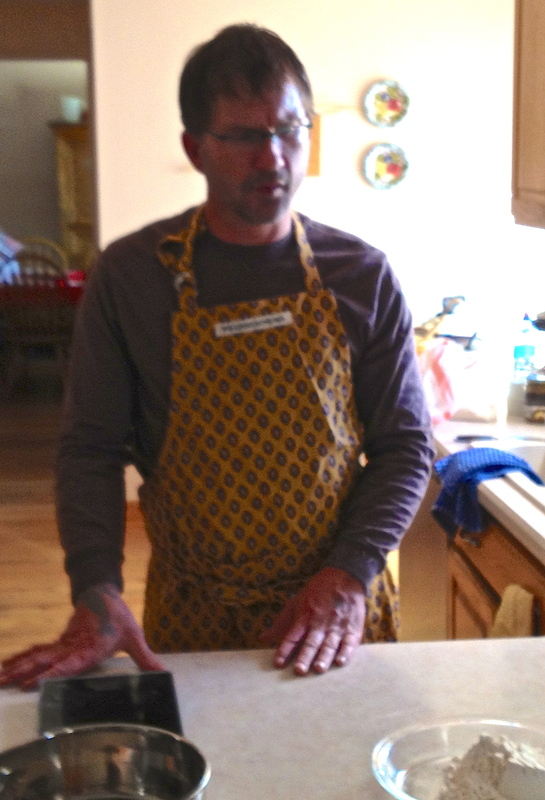 We invited self-taught baker, Gabriel Mills, who demonstrated his expertise at pie and pizza pie making. Gabe was born in Baker, Oregon (really) and he and his sister were raised by three sets of people. His mother was bi-polar where home was chaotic. Then raised by a nice elderly couple where the woman taught he and his sister how to cook and bake. There was an atmosphere of no fear and she was a kind teacher. Then they were sent to live with a not-so-nice aunt and uncle. It was never okay to ask for a toy as a gift, but to ask for a practical gift like a rolling-pin or kitchen tool was fine. At age 13 years he began his quest to unseat his aunt as the family Pie Queen. He became the family Pie King when the relatives gathered for Thanksgiving and they gobbled up his pie and left hers still in the plate. So began his baking career. Gabe brought us all a pound of butter he buys wholesale, $2.00 apiece. 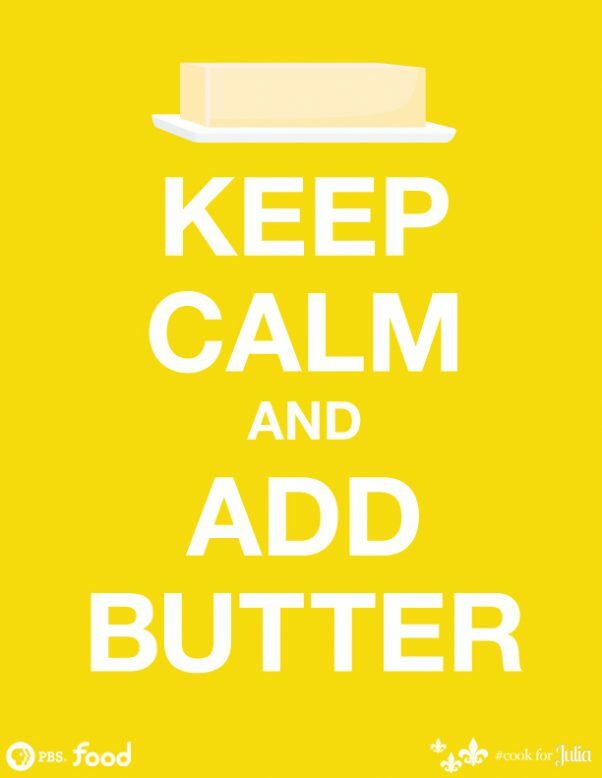 That’s a lotta butta! Add the cold butter cut into small cubes and cold water to the dry ingredients on the pastry sheet and work them together using two dough scrapers with the goal of keeping it cold. Work the dough by stacking formed pieces together on top of each other making thin folds. Wrap the dough in plastic wrap and put in freezer for at least twenty minutes before using it in a recipe or for up to four days in the refrigerator. It may be placed in the freezer almost indefinitely. Each crust weighs 120 grams for a 9-inch pie pan. Pre-heat the oven to 370 degrees and place in the middle of the oven. Follow the directions for the filling of your pie recipe. 1. Measure everything with a scale. Flour is sensitive to humidity and lack-there-of (especially in the Mile High City where it is pretty dry). You get a more accurate end-product if you do. 2. Gabe likes the Pie and Pastry Bible cookbook by Rose Berenbaum as his baking reference. He said that some of the recipes are quite lengthy to prepare, but the result is worth it. 3. 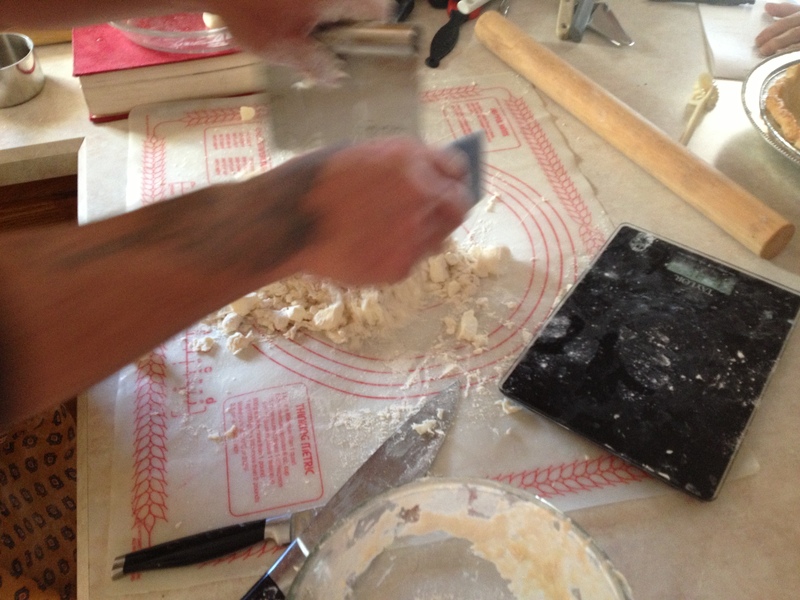 Gabe uses a non-slip pastry sheet for rolling out the pie dough. As you can see in the picture, Joy brought her vintage Tupperware pastry sheet. I had one just like it oh-so-many years ago but it got cut up and damaged. You can still find them at Tupperware or you can find a vintage one on EBay. A marble slab is the ideal board for keeping the pie ingredients cold. 4. Gabe likes aluminum pans as he gets a consistent end-product result. He brushes the crust with egg white and sprinkles it with sugar. 5. Gabe likes Gold Medal flour, but King Arthur flour is his prime choice as it is organic. He usually buys it if it is on sale as it is a little more expensive. 6. If you use your hands working the dough, it warms the dough. The pie dough is very forgiving because it eventually ends up in the refrigerator or freezer before using in a recipe. If need be, the dough can be placed there for a time to get the temperature right and then return to the work board to get it back to a good consistency. 1. 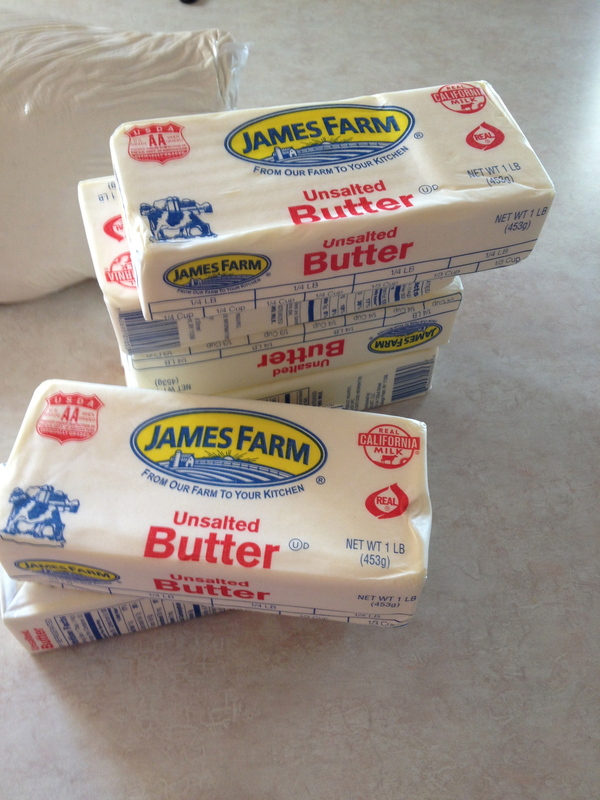 I looked up James Farm butter and could only find that it is distributed out of New York. What little I could find on the internet was that in the Julie and Julia movie, Julie Powell leaves a pound of James Farm butter at the Julia Child kitchen replica at the Smithsonian. Butter made in the old USA. There is also a band called James Farm. They got more hits on the internet than butter searches. 2. The pie pictured above was baked by Gabe prior to the baking party. It is an Appletini Pie with gin and vermouth added in. He likes to use Honey Crisp with Granny Smith apples together. He also likes the Pink Lady variety which adds a pink color to the pie. He doesn’t add a lot of sugar to the fresh fruit, instead choosing to let the fresh fruit shine in the recipe. 3. 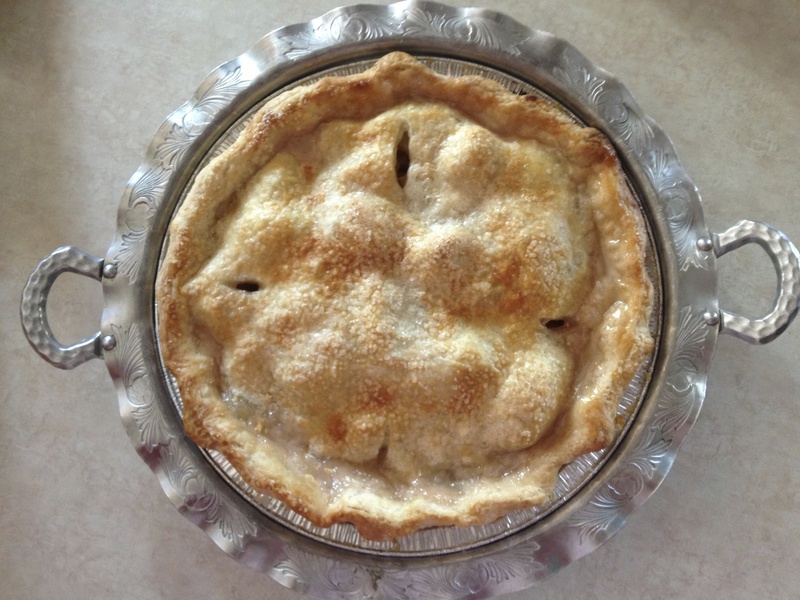 The pie crust was flaky and light, the apples were so fresh, without being heavy. He does NOT use Crisco. He has used lard on occasion but butter is best. As Gabe was telling his story of how he started baking as a child I had memories of other pie makers and the stories behind them.Art of the Pie , a blog written by Kate McDermott is one. I met Kate this past summer at the BlogHer Food 2012 conference in Seattle when she personally shared her story about her kind neighbor. And of course there is the movie Waitress. The lead actress played by Keri Russell, baked and created unusual pies with titles reflective of her unhappy marriage, unexpected pregnancy and affair with her doctor. 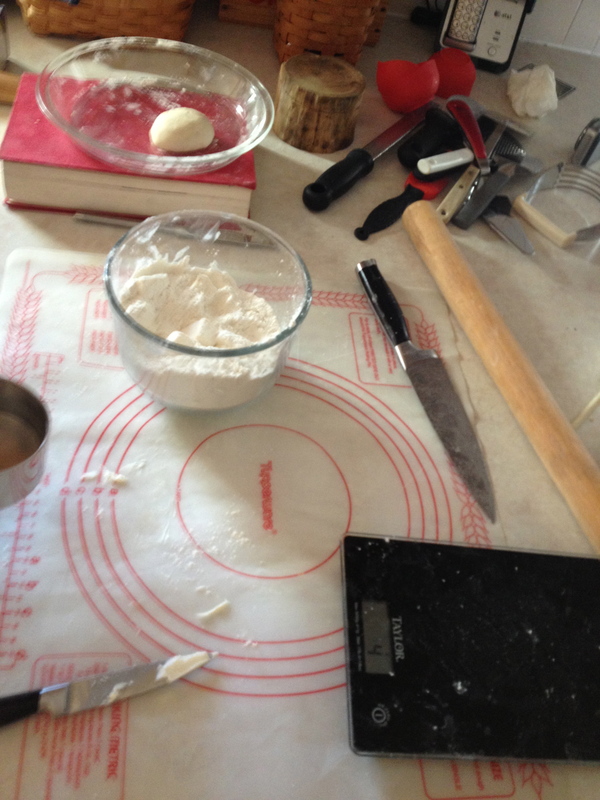 The pie story continues on the next post as we made pizza pie dough and lotsa pizza. 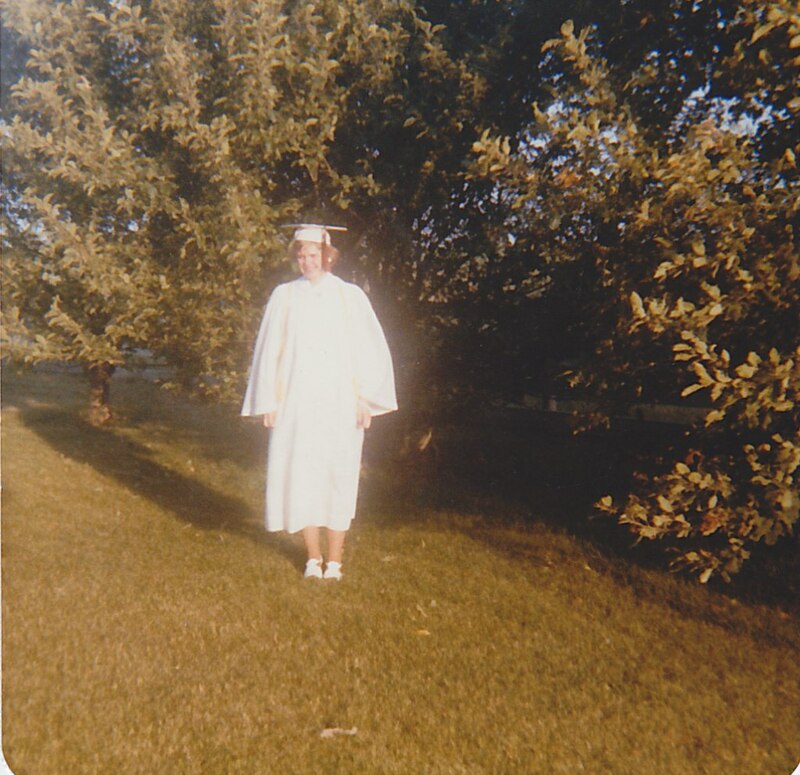 Thirty-five years ago I graduated from high school about to embark on the beginning of my adulthood. The summer between graduation and college I had one more right of passage to complete, my last 4-H presentation at the Illinois State Fair. Be glad this is not a close-up pic! My high school years were unusual because I was all about public speaking. I loved to talk and I was really good at it. I struggled with writing and I was really bad at it. I was in 4-H and they had public speaking and food demonstration projects. I had gone to the State Fair for public speaking so I wanted to try my hand at food demonstration. How different could it be? Talking and cooking in front of an audience. I could do that. It was the 1970’s: Julia Child was on public TV and was quite serious; The Galloping Gourmet was on commercial TV and was hilarious. I found food demonstration intriguing. I watched my peers at the county 4-H food demonstrations. These were older girls, raised on the farm, and had mothers who were real farm women. They made homemade donuts and pie crusts, from scratch. I had never seen that before. I however, I had a mother who was a city-girl, raised during the Depression, had helped her mother pluck chickens in the basement of their house, and never again wanted to work that hard to make a meal. She made food her mother made and canned vegetables from the garden. She was all about getting food on the table for five kids. The easier the better, as long as it tasted good. I was young and naive and asked my mother what I should make for food demonstration. She said Key Lime Pie. She loved it and had an easy recipe for me to make. Great! I was into easy and as long as I could talk I’d be fine. 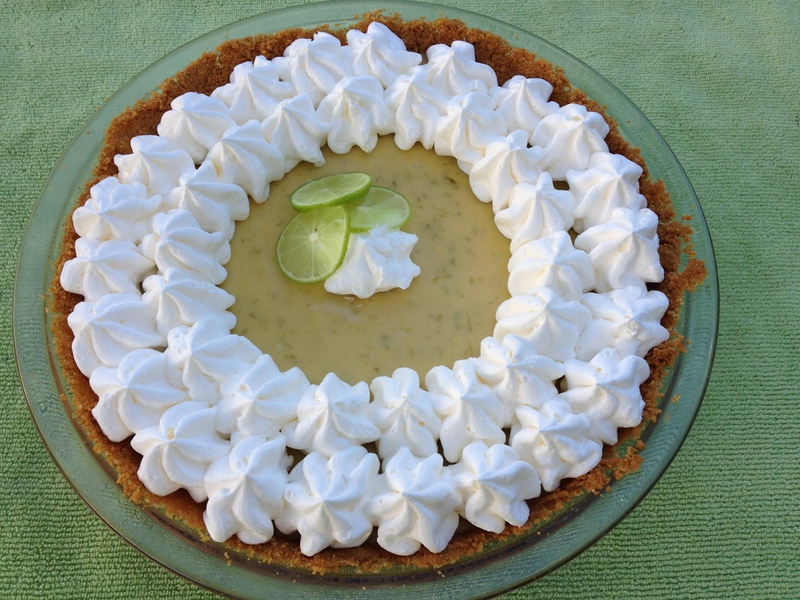 My food challenge for this month is to make my Key Lime Pie circa 1977 and a real Key Lime Pie which I have never made. After making this recipe a dozen times I guess I never wanted to make it again. HA! A Taste of Home Pineapple Lime Pie. 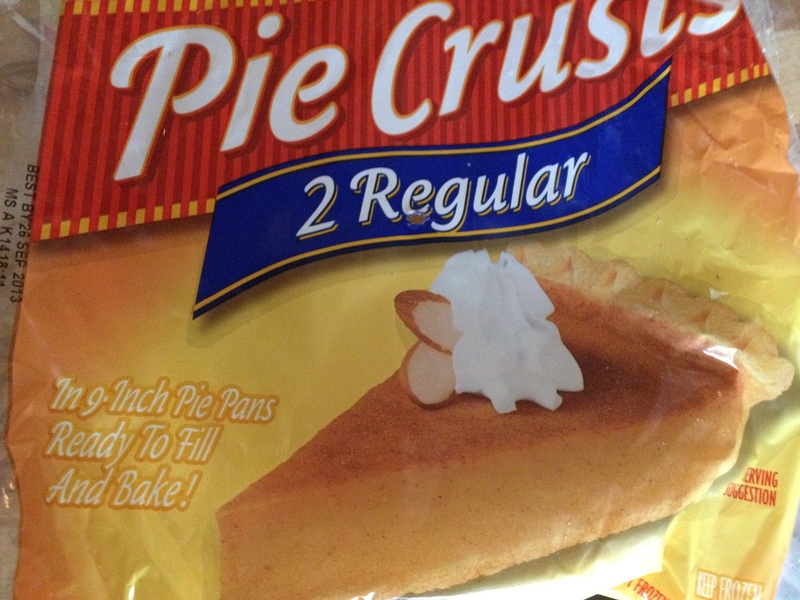 Pre-bake a frozen pie crust according to package directions. Don’t forget to prick the bottom or it will puff up! Cool completely. 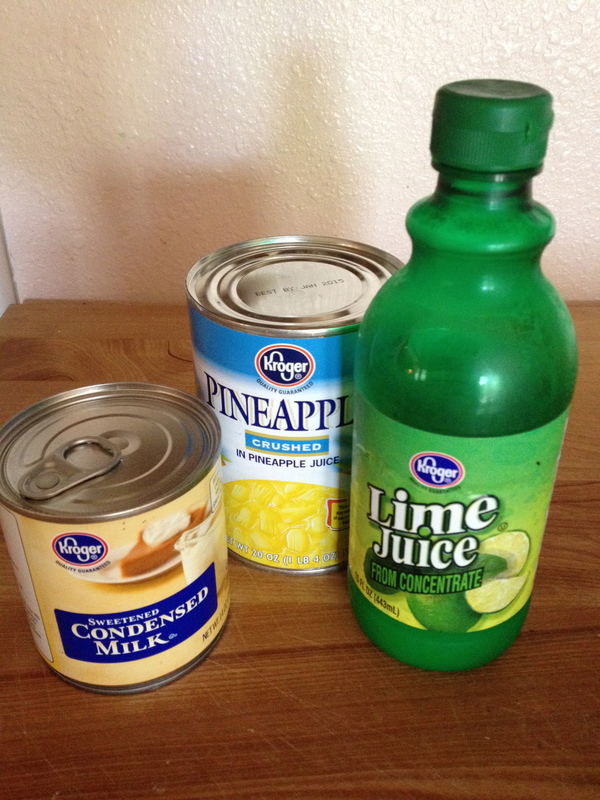 Combine 1/2 C lime juice, 1 can sweetened condensed milk, 1 can drained crushed pineapple and drops of green food coloring to make it look like a lime! Let it set until thickened. Pour the contents into the cooled pie crust. Top with whipped cream (of course from the freezer section). Top with chocolate sprinkles. I didn’t have the fake chocolate sprinkles in my cupboard like I did in 1977, so I grated actual chocolate on top! Refrigerate to set. 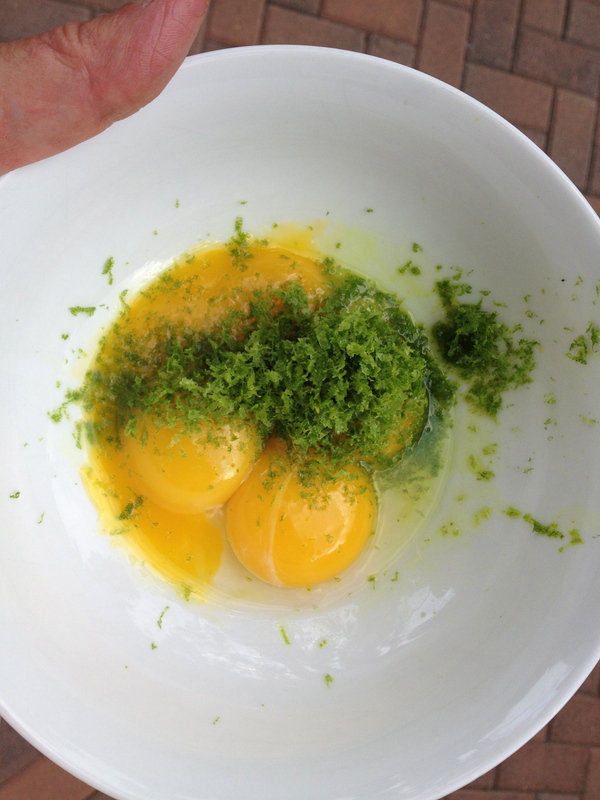 Lime Filling: 4 tsp grated lime zest, 1/2 C strained lime juice from 3-4 limes, 4 large egg yolks, 14oz can of sweetened condensed milk. Combine the ingredients and set aside at room temperature for 30 minutes, until thickened. 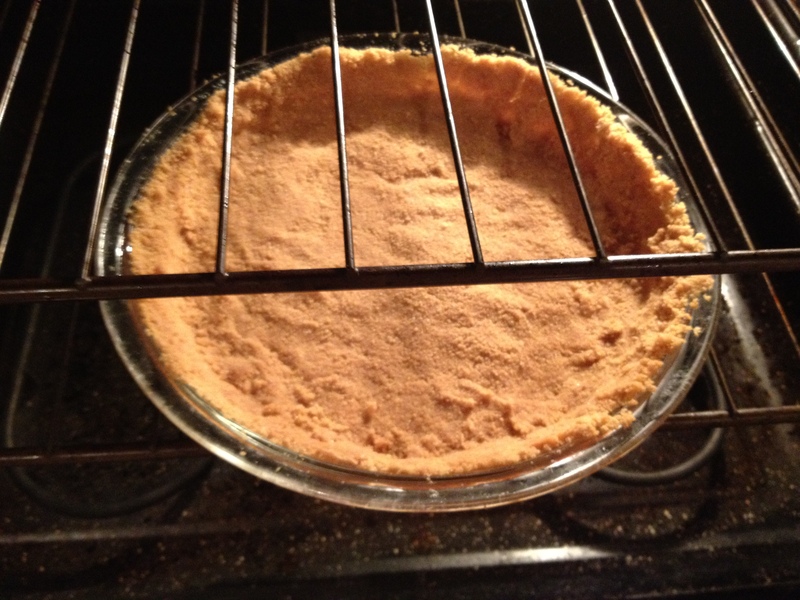 Graham Cracker Crust: 9 graham crackers,broken pieces, 2 TBSP sugar, 5 TBSP unsalted, melted butter. Food process the graham crackers to get 1 C crumbs. Add the sugar, pulse again. Stream in the melted butter while processing and looks like sand. Transfer to a glass pie plate, press into the corners, bake at 325 degrees for 15-18 minutes. Cool completely. Then add the filling and bake for 15-17 minutes until wiggly. Cool to room temperature, refrigerate 3 hours before finishing with the topping. Whipped Cream Topping: 3/4 C chilled heavy cream 1/4 C powdered sugar, 1/2 lime sliced and dipped in sugar! If possible, 2 hours in advance whip the cream with electric mixer, cold bowl to soft peaks, add the powdered sugar 1 TBSP at a time until stiff peaks achieved. Put into a piping bag and decorate the pie. Decorate with the lime slices. 1) The taste test. I had my family taste both of these recipes. They ate both pies but my daughter did prefer the real thing. The Pineapple Lime Pie is a flashback to the 1970s. If you liked jello, canned fruit, and whipped cream desserts or “salads” as many women back then called them, you would love this pie. It is the perfect dessert to take to a potluck with a crowd of women 60 to 90 years of age. 2) The real thing. I bought key limes at the store. They were tough little buggers to zest and it took more than 4 limes to get the zest and the juice; more like 8-10 limes. 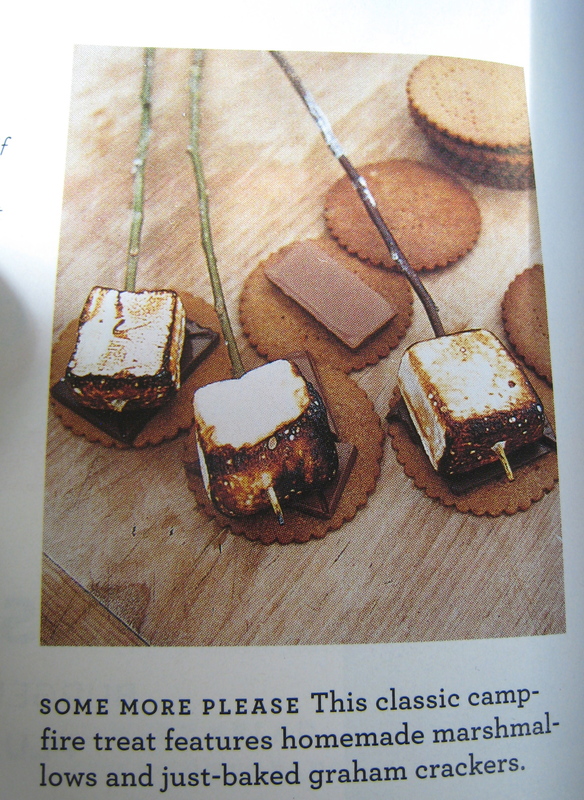 3) I did not follow the real recipe to a tee. I used graham cracker crumbs from a box and I used whipped cream pre-made. The New Best Recipe states that graham cracker crumbs from a box have additives and have a bad texture. 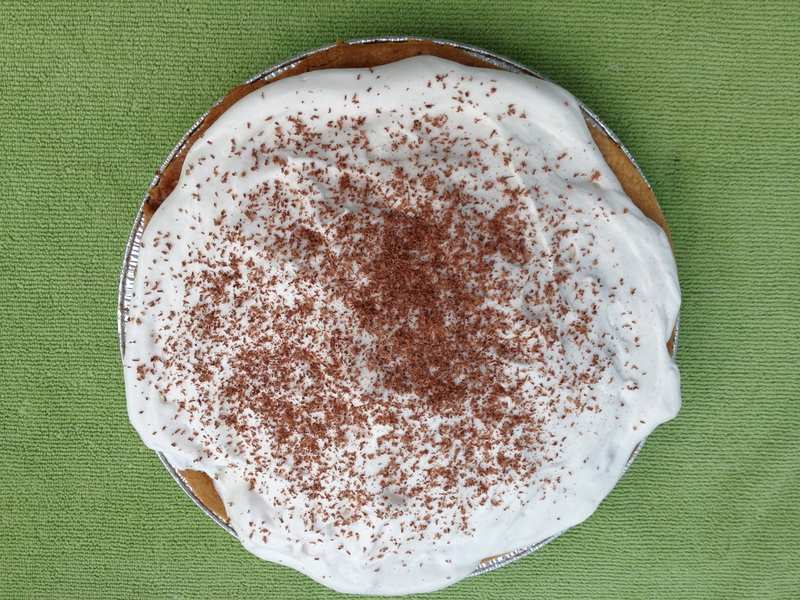 I did pipe the whipped cream onto the pie but I did not make it from scratch. A meringue topping can be made instead of whipped cream. 4) Time. 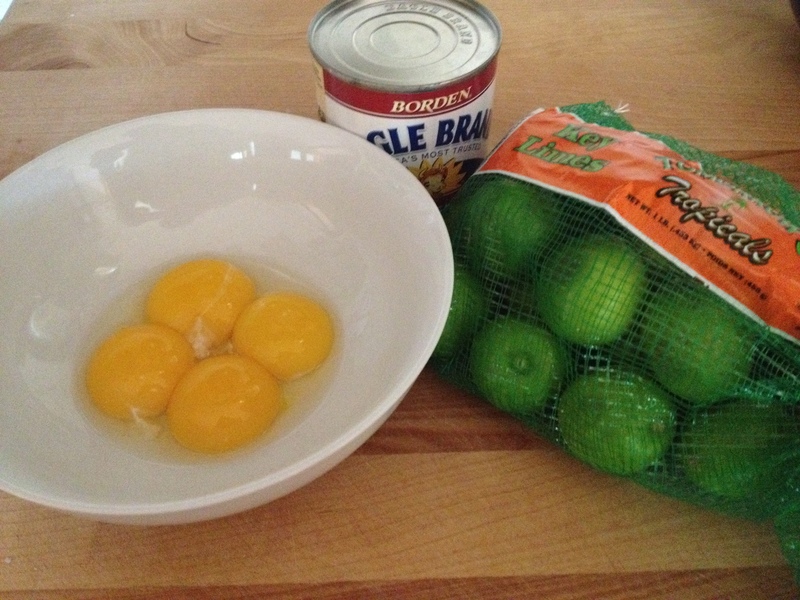 Key Lime Pie is a pretty easy recipe. In comparison to my 1977 version the real one took more time. Regular limes would’ve been less work to zest and juice. The little key limes took more time. I did skip crushing the graham crackers and making the whipped cream as I ran out of time making the pie for the occasion the pie was going to. Did it compromise the flavor? Maybe a little. Forgive me Julia. 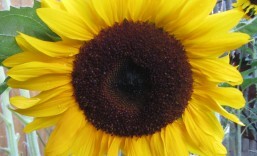 Julia Child’s 100th Birthday is August 15, 2012. This post is written in honor of Julia who inspired me to start this cooking club and this blog three years ago (see my About section). I am grateful to my 4-H roots for inspiring me to this day. I may have made a simple recipe at the Illinois State Fair but I was a fabulous speaker. I still speak with confidence but now I am perfecting my cooking skills. Focus on your strengths and go with it, even if it takes 35 years to get there. 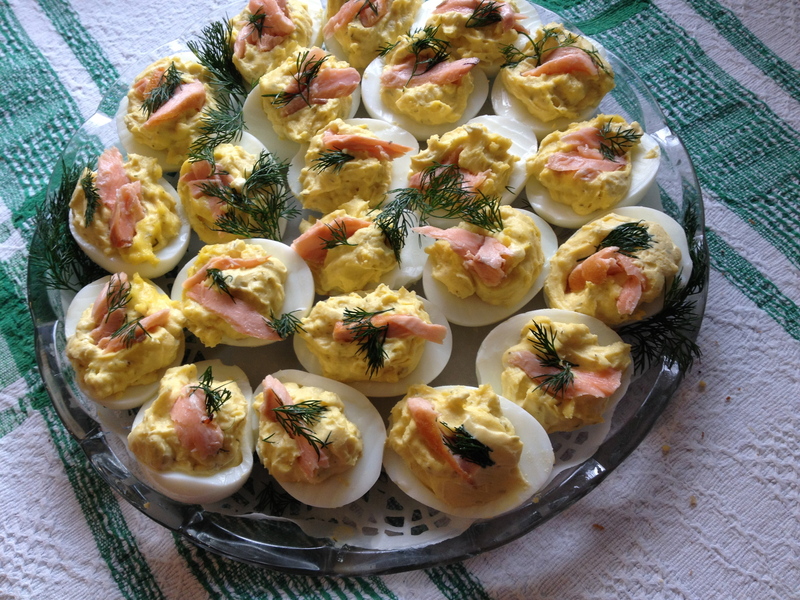 The Fearless Cooking Club celebrated spring with all things eggs. As mentioned in my blog a couple of weeks ago, eggs are a hot ingredient everywhere in comfort food recipes. Cholesterol aside, eggs are making a comeback as a excellent protein. We had cooking lessons with the soufflé, hollandaise sauce, and the aioli. 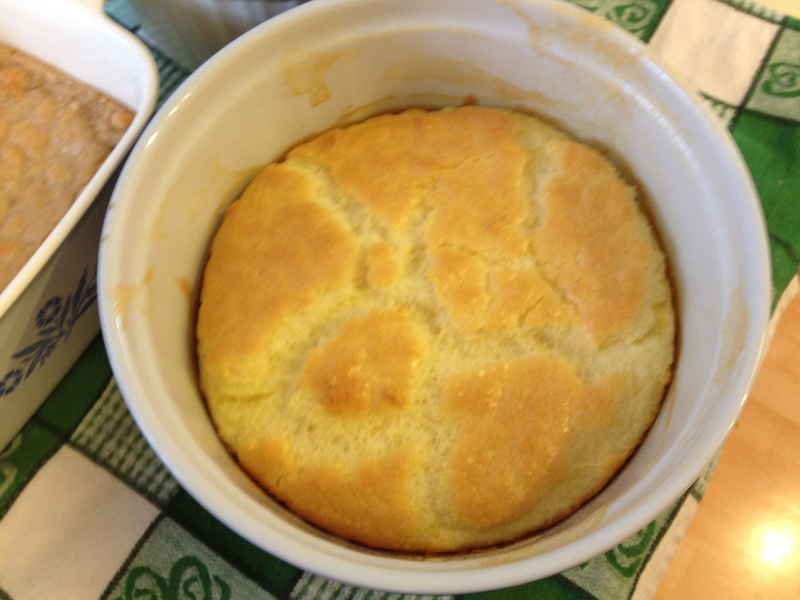 One member broke out the 1943 original Joy of Cooking to make soufflé the old school way. 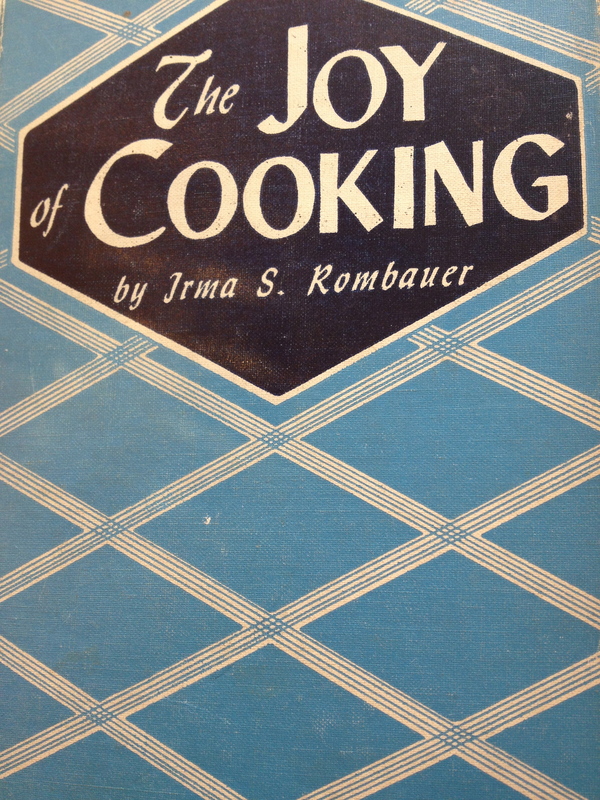 Irma Romabauer’s tip was to not butter the soufflé dish although another source said to butter the soufflé dish. I am going to withhold any opinion because I’ve never made a soufflé before. Further research for perfection to come later. 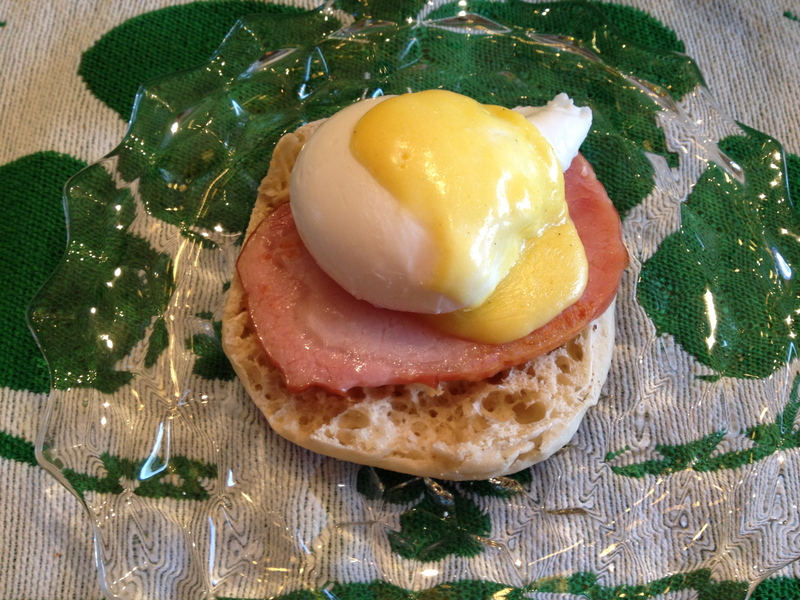 The eggs benedict, Anne Burrell, from Secrets of a Restaurant Chef on the Food Network version was accessed. 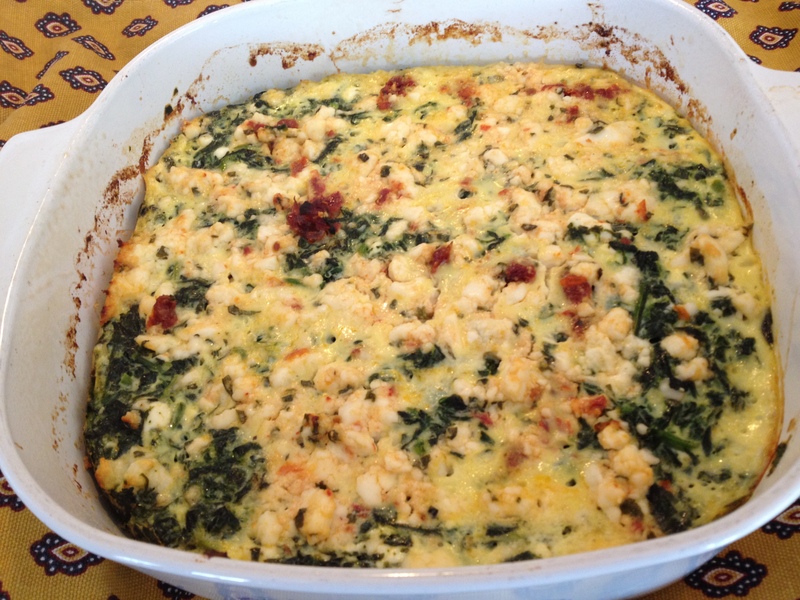 It was a fabulous recipe that was very similar to the Joy of Cooking recipe I’ve used in the past. The hard part is putting all the ingredients together and getting it served onto the table warm. 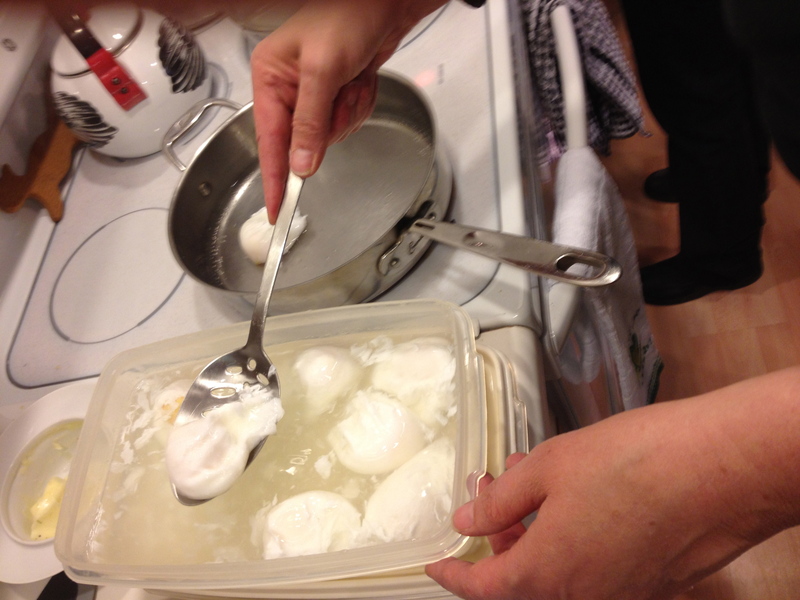 Poached eggs can be made in advance and kept in cold water bath while the hollandaise is made. 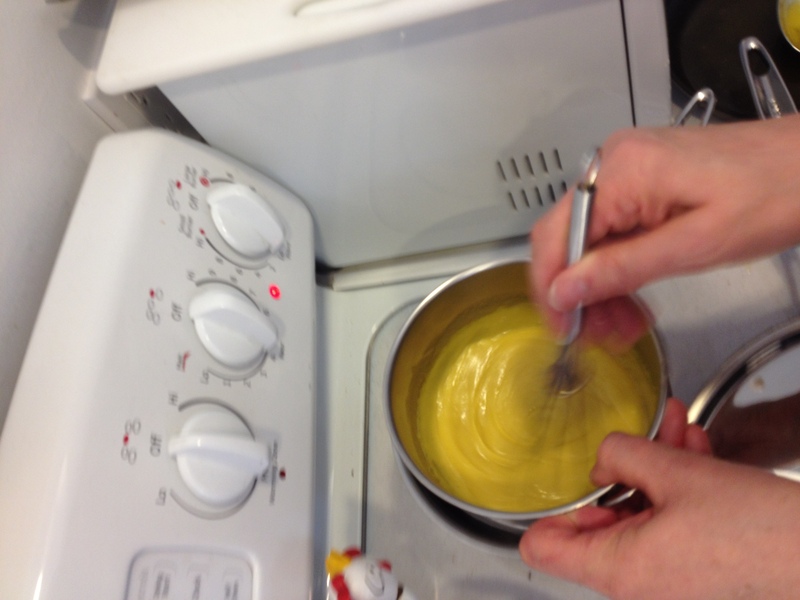 Hollandaise is a hand whipped egg yolk, lemon juice and butter mixture. We followed the Anne Burrell recipe to a “T” and it turned out fabulously. I was just watching The Pioneer Woman on Food Network and she made hollandaise in the blender. That was a new and inventive technique I hope to try in the future! We invited friends and family members in sharing all the creations. As you can see there was a lot of food to eat! Happy Spring! 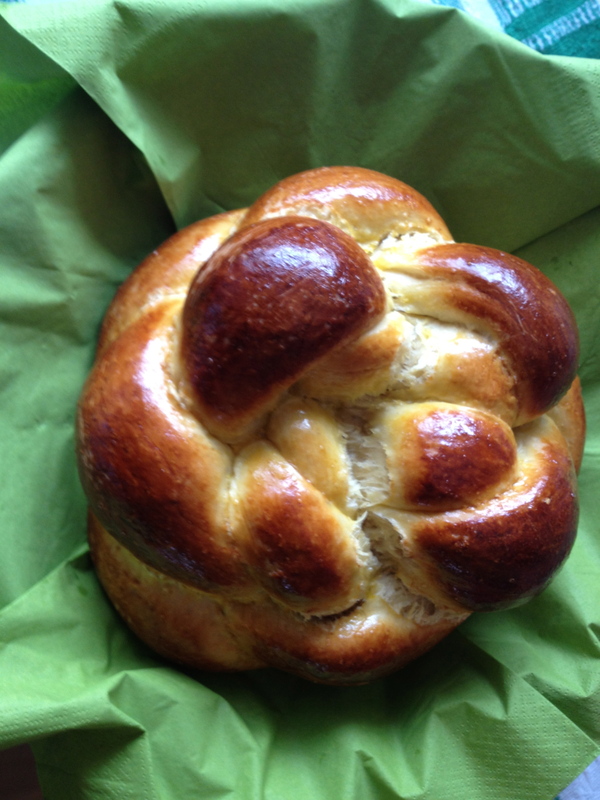 Next month we will be celebrating Greek Easter which is celebrated after the Traditional Christian Easter. I’ve never made Baklava before so we will be getting a lesson in that. I will also be checking out a Cookie Cutter Club bi-annual meeting. Stay tuned in April.